The Citi / AAdvantage Platinum Select MasterCard is now offering 60,000 bonus American Airlines miles after spending $3,000 in the first 3 months. We’ve seen this offer before on the personal card. Citi rotates in a out a couple times of year typically. The CitiBusiness / AAdvantage Platinum Select World MasterCard is offering 70,000 bonus American Airlines miles after spending $4,000 on the card in the first three months. I’ve never seen the bonus that high for this card. With the spending it takes to unlock each bonus, you’ll have at least 137,000 American Airlines miles if you open both cards. The standard offer for each is 30,000 AAdvantage miles for spending $1,000 on each and the standard “elevated offer” we see on each is 50k for $3k spend. So 60k for $3k spend is great, and 70k for $4k spend is even better. Both are limited time offers. 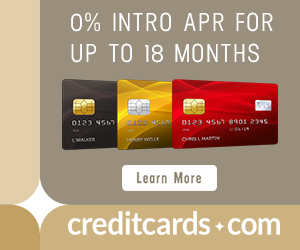 You are only eligible to earn the sign up bonus on the personal card as long as you haven’t opened or closed the same card, or a Citi / AAdvantage Executive World Elite MasterCard, within the last 24 months. You are eligible to earn the sign up bonus on the business card as long as you haven’t opened or closed the same card within the last 24 months. You can hold both cards at the same time to take advantage of earning American Airlines miles for your personal and business spending, but you cannot be approved for both on the same day. The collective wisdom is to put at least 8 days between applications for cards issued by Citi. The offer for the CitiBusiness / AAdvantage Platinum Select World MasterCard is practically the same, except there is no 10% rebate of redeemed miles, there are business-related category bonuses, and the retention bonus is different. Anniversary Retention Bonus: If you spend $30,000 in a year on the card, you also get a $99 companion certificate for use within the continental United States. I value American Airlines miles at 1.4 cents each, making the 60k sign up bonus worth approximately $840 and the 70k bonus worth $980. Delta miles cannot even book international First Class. You can see comparisons of American Airlines, Delta, and United award charts here. Just note that SAAver level (the cheapest) award space on American Airlines has gotten thinner and thinner over time, so it could be a good idea to look into your desired award space if you’re getting the card to put the bonus towards a specific trip. The personal card has two new category bonuses. You will also earn 2 miles per dollar spent at restaurants and gas stations. The business card offers 2x on purchases at telecommunications and car rental merchants as well as gas stations. Internet, cable, and phone services is a 3x category on the Ink Business Preferred, and 5x on the Ink Business Cash, so if you have one of those cards, put those purchases on it. Car rentals and gas (all travel and gas) are 3x categories on the Citi ThankYou Premier Card, so use that instead of CitiBusiness card for car rental and gas purchases. If you don’t have those cards, these 2x category bonuses are nice. Both bonuses are only granted if you opt to keep your card open for at least 45 days post cardmember anniversary. Spending $20,000 within a year of opening the personal card will get you a $100 Flight Discount on American Airlines flights. You’ll have a year to use the certificate before it expires. Spending $30,000 in a year on the business card will get you a $99 companion certificate for use within the continental United States. That means you can choose companion to join you on a domestic, roundtrip economy ticket for just $99 + taxes/fees (an additional $21.60 to $43.20). Both cards get you “Preferred Boarding” on domestic American Airlines flight, so you will have a better chance of securing overhead bin space and avoid gate checking. Preferred boarding technically means Group 5, after Business, First Class, and passengers with status. Preferred boarding does not apply on codeshare flights, only those operated by American Airlines. A cardholder who redeems 100,000 American Airlines miles each year gets back 10,000 American Airlines miles. The process is automatic and the rebate posts within a few weeks. I value this benefit at $140 if you get the full 10,000 miles rebated, which is a justification for keeping the card open long term ($140 > $95 annual fee). Both cards give you access to American Airline’s Reduced Mileage Awards, which are discounts on domestic redemptions. Destinations for the discounts are posted quarterly. As long you follow the above rule, you can be approved and receive the bonus on the Citi / AAdvantage Platinum Select MasterCard even if you have had one before/currently still have it open. However, the same does not apply to the CitiBusiness card. You must close that card before opening another one (and of course, wait 24 months after closing it to be eligible for another). Anyone who has a business including a sole proprietor can apply for business cards. Read more about how to get approved for business cards if you’re not sure if you’re eligible. Your business doesn’t need to be bringing in boatloads of revenue, you don’t need an Employee Identification Number (just use your social security number instead), and you don’t even need other employees besides yourself. Note that if you’re attempting to stay or get back under 5/24, the CitiBusiness AAdvantage card won’t count towards your total. Don’t know what language I’m speaking? The Chase 5/24 rule is that once you’ve opened five credit cards from any bank in the last 24 months–excluding certain business cards that don’t show up on your personal credit report–Chase will deny you for the majority of their lucrative travel rewards cards. If you signed up for lower sign up offer within the last 90 days, Citi has a pretty good track record of matching sign up bonuses to what’s currently available. Call the number on the back of your card or send a secure message through your online account–the sooner the better. I’ve seen various data points around the web confirming matches to the new offers. 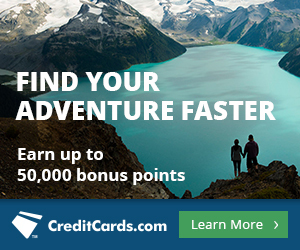 Both AAdvantage co-branded Citi cards (the personal and business cards) have temporarily elevated sign up bonuses at the moment. You’ll get 60,000 bonus American Airlines miles after spending $3,000 in the first three months for the personal card, and 70,000 bonus miles for spending $4,000 on the business card. Both cards also come with other valuable benefits if you fly American often, like a free checked bag, priority boarding, and access to Reduced Mileage Awards. The annual fee of $95 is waived the first 12 months. If you’re sniping business cards with good offers that won’t count against you for the purpose of Chase’s 5/24 rule, the CitiBusiness / AAdvantage card should be high on your radar… I’ve never seen the bonus this high for that card. I’m seeing more offiers from Citi with AA than I have with Barclay’s Card. Yes I just got the 70K Bus Card @ 0800 French Time . May we all eat so Good HaHa..
Hi Sarah, Can you confirm that this “new” Citi AA personal card does really still get a 10% mileage redemption rebate. That “perk” is not listed on the application website, only access to reduced mileage awards. I posted this question on One Mile at a Time two days ago but it remains unanswered. Thanks! Hi Carol, my apologies for the delay in response. Yes, the 10% mileage rebate on the Citi AA personal card is still a benefit. The Points Guy just confirmed this four days ago.